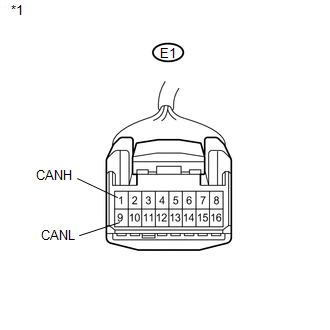 There may be an open circuit in the CAN bus main wire and/or the DLC3 branch wire when the resistance between terminals 6 (CANH) and 14 (CANL) of the DLC3 is 70 Ω or higher. 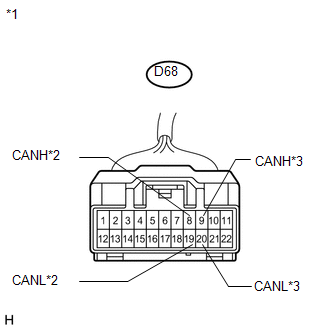 Resistance between terminals 6 (CANH) and 14 (CANL) of DLC3 is 70 Ω or higher. 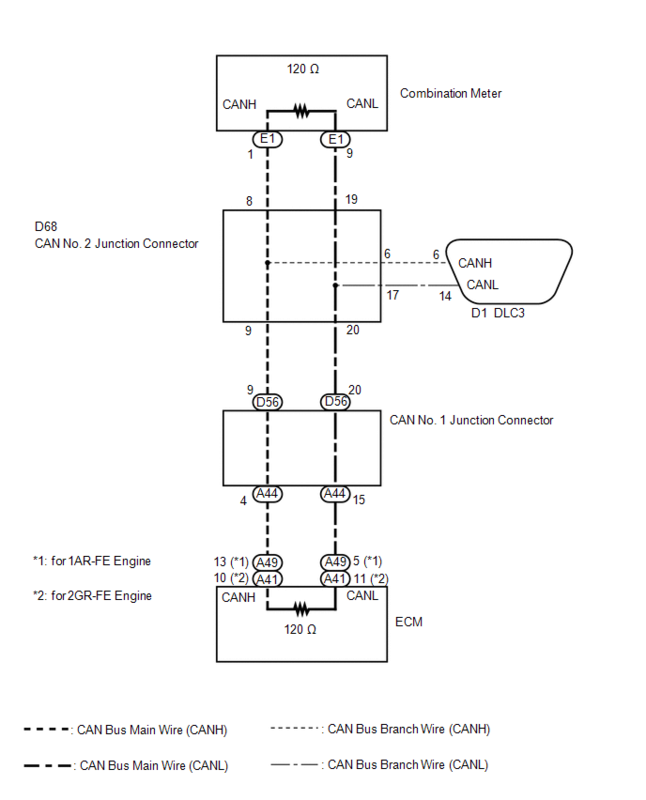 When the measured value is 133 Ω or higher and a CAN communication system DTC is output, there may be a fault besides disconnection of the DLC3 branch wire. 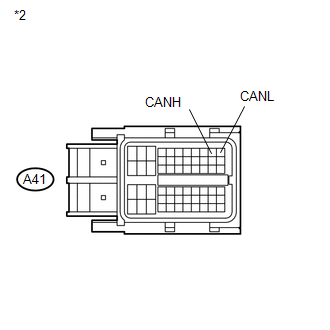 For that reason, troubleshooting should be performed again from How to Proceed with Troubleshooting after repairing the trouble area (See page ). 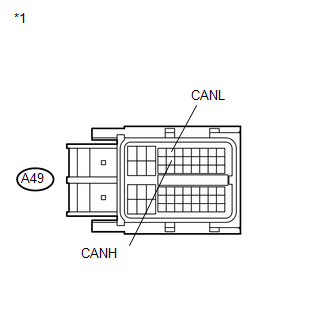 (1) Disconnect the ECM connector (A49). 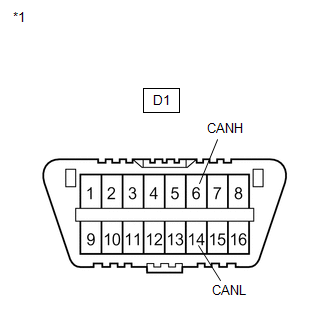 (1) Disconnect the ECM connector (A41). 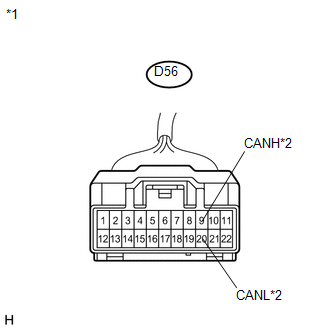 (b) Disconnect the combination meter connector (E1). 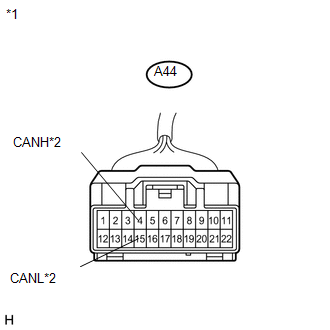 (a) Reconnect the combination meter connector.